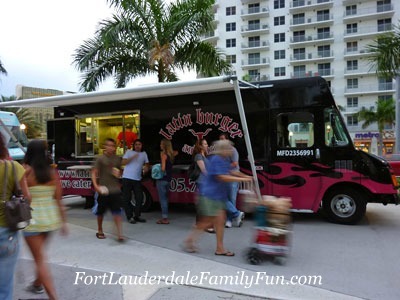 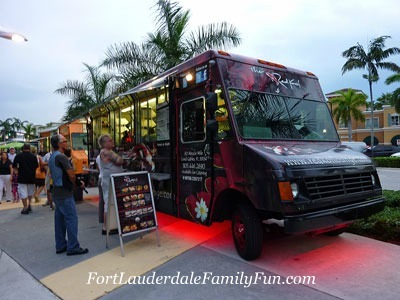 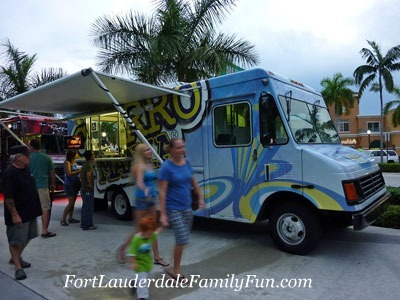 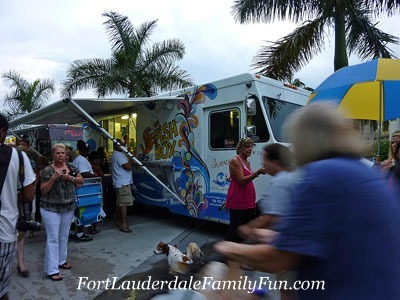 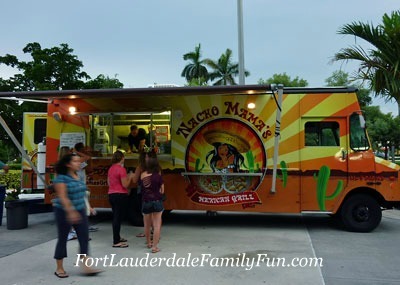 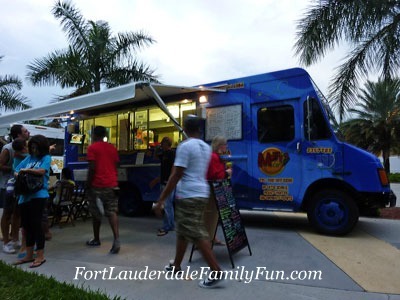 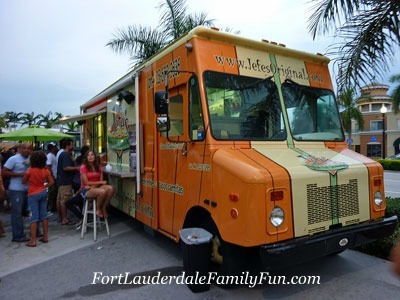 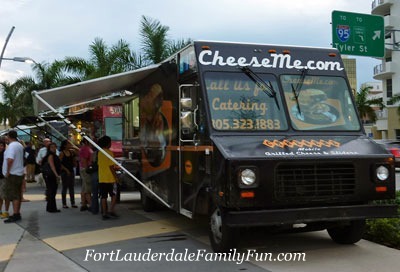 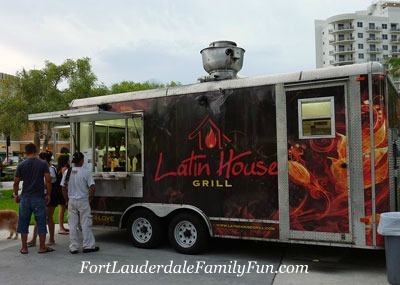 These Miami food trucks are serving great food at great prices in the most unexpected places. 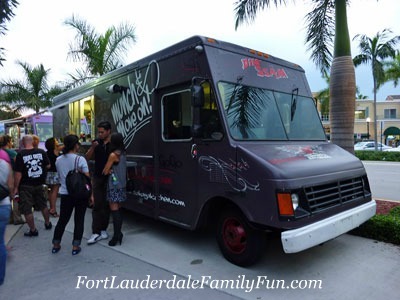 Recently, many of these Miami food trucks showed up at the Arts Park at Young Circle in Hollywood for the Food Truck Invasion. 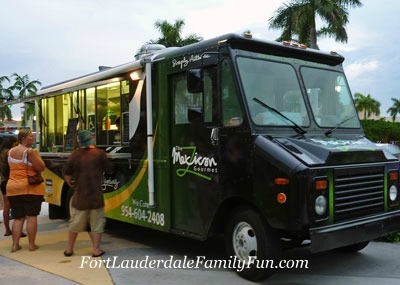 Food trucks have been around for quite a while, very popular in larger metropolitan cities like Los Angeles and New York, and were initially known to cater to construction site workers who needed quick, filling food that wasn’t too expensive. 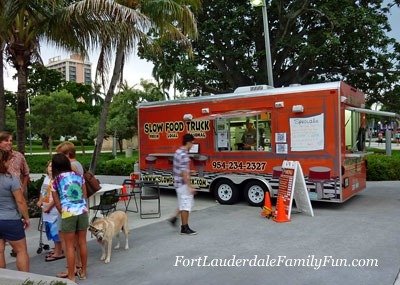 For the past few years, though, some food trucks have gone the gourmet route and more than a few of them are mobile extensions of brick-and-mortar restaurants, spreading the word of their good food but in smaller portions. 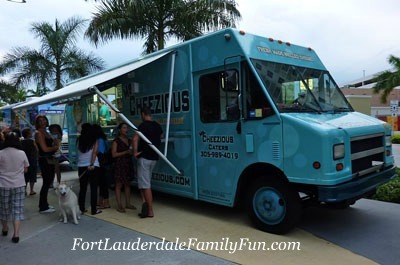 Twitter, Facebook or text message alerts informed of their locations for the day around town and food truck groupies would follow with enthusiasm. 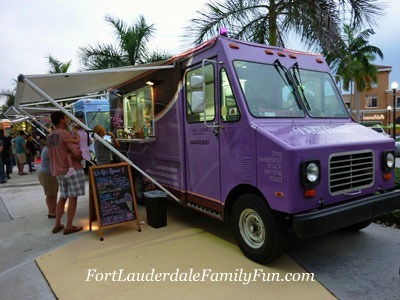 Here are the Miami food trucks who made it to town. 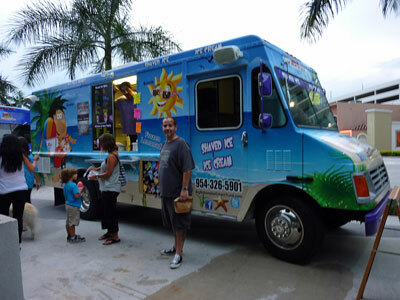 The city of Hollywood hopes to make this a permanent and ongoing event. 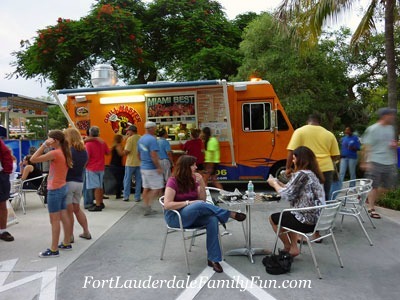 Meaning, the more people come regularly, the Food Truck Invasion event will have a better chance of staying. 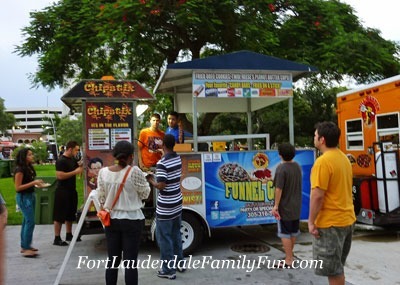 Chipstix and Funnel Cakes - Potatoes are spiral cut, threaded through a stick then deep fried. 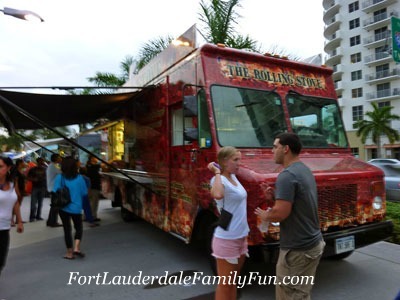 Sort of like potato chips on a stick. 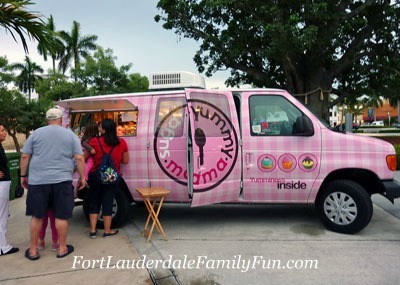 They also have funnel cakes and your choice of candy bar fried on a stick.